Has your home been damaged by hail or wind? 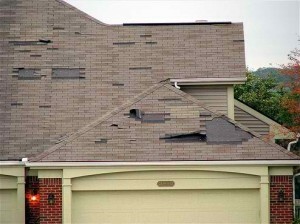 Our team has years of experience dealing with roofing & siding insurance claims for hail or wind damages. First we will perform a thorough inspection of your home to make sure nothing goes unchecked or unnoticed. Quality assurance is #1 for us, so we make sure your home gets brand new products if the hail or wind damage is beyond repair. Contact us today for a free consultation and quote for your hail or wind damage replacements or repairs! Our years of experience and fine-tuned process make choosing us for insurance claim projects an easy choice. We make the process as simple as possible and make your home look like new again. 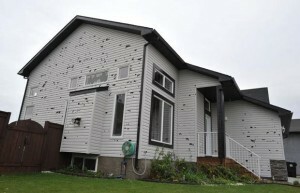 Has your home siding been damaged by hail or wind, and do you need of a siding insurance claim? Siding damage can be quite unappealing to the eye on your beautiful home, so don’t let wind siding damage or hail siding damage ruin the look of your home. Urban Siding is your one stop shop for all your siding insurance claims in Calgary, Airdrie, and the surrounding areas. We help you through the entire process and make sure your home is as good as new. Roof damage from hail or wind can be very severe, and if you find yourself in need of a roofing insurance claim in Calgary, we’re here to help. The Calgary and Airdrie areas can have very unpredictable weather, but there should be no need to worry about how you are going to go through the process of a roof insurance claim. Urban Siding will help you every step of the way to ensure that your roof is in tip-top shape in no time at all. We provide free estimates for both wind-damaged roofs and hail-damaged roofs. We take care of you and all of your roof insurance claim needs in Calgary and Airdrie! Urban Siding has been serving insurance companies in Calgary for over five years. From wind damage to hail damage, we have seen it all. We understand the internal processes and procedures that take place before, during, and after each reconstruction job. We want to make the experience as easy as possible for both the insurance companies and the homeowners. We have fine-tuned our process by identifying the weak spots in typical interaction between insurance companies, contractors, and homeowners, and by increasing our involvement and level of communication to overcome them. We start by using specialized software to estimate and manage each job, making our jobs faster and more detailed than ever before. After providing our competitive estimates, we are always on call to provide you with any additional information. When the job is approved we will act as a liaison – communicating with the property adjusters and you. With each job being different, we’re always sure to assign a crew that is able to work around your schedule and meet deadlines – weather-dependent of course! When each job is complete, one of our project managers will perform a final inspection on the property to ensure that it is back to pre-loss condition. All of the work we do includes warranty on labour. We also guarantee that all of our work follows the Alberta Building Code. If a situation arises where we are at fault for causing damage. we will take full responsibility and remediate the damages. We are licensed, bonded, and insured.